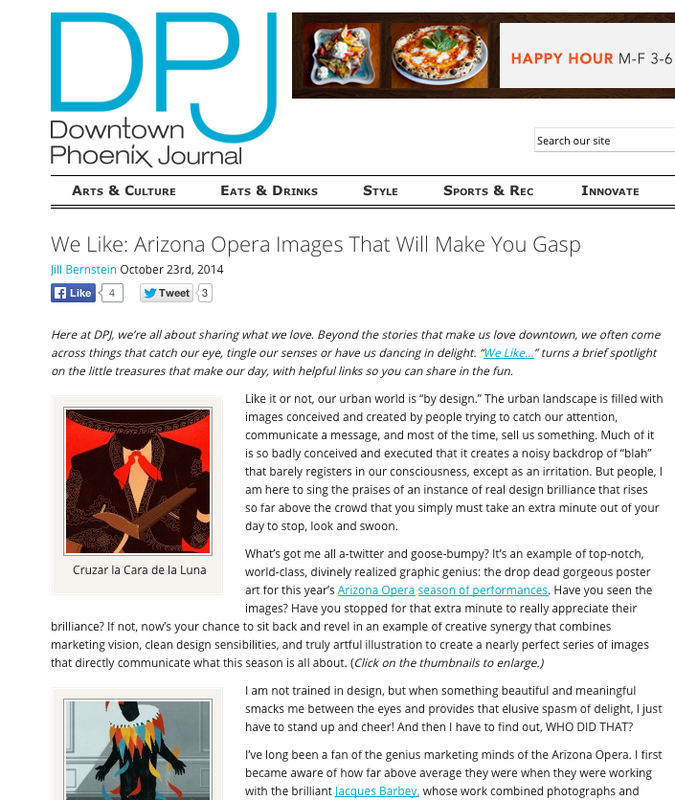 Arizona Opera Images That Will Make You Gasp!!!! Like it or not, our urban world is “by design.” The urban landscape is filled with images conceived and created by people trying to catch our attention, communicate a message, and most of the time, sell us something. Much of it is so badly conceived and executed that it creates a noisy backdrop of “blah” that barely registers in our consciousness, except as an irritation. But people, I am here to sing the praises of an instance of real design brilliance that rises so far above the crowd that you simply must take an extra minute out of your day to stop, look and swoon.